Cove Hall is the ideal place to gather with friends and family to celebrate your wedding. Just an hour outside of New York City you can have that waterfront wedding you’ve dreamed of without the added complication and expense of long distance travel. 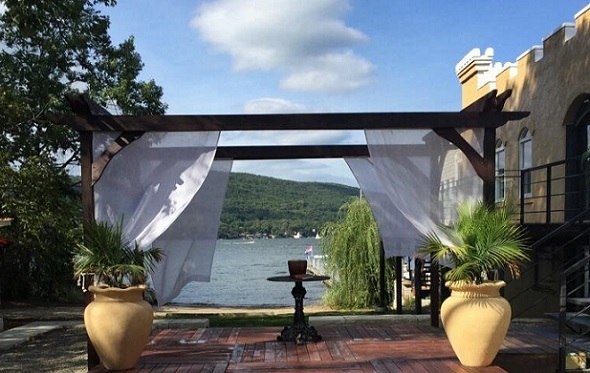 Our beautiful location on Historic Greenwood Lake provides a picturesque backdrop for your festivities. With breathtaking views of the lake, outdoor and indoor ceremony and reception space,a history dating back to the 1930s, and in-house and on-site catering, this gorgeous space allows you to feel like you’ve escaped to another world. In addition to the elegant ballroom and newly installed lawn that is perfect for milestone celebrations, Cove Hall features a charming restaurant, Cove Castle, serving up New American fare using local purveyors to create that farm to table dining experience… a trend that seems here to stay! And the 80-seat deck boasts a 53-slip marina for seasonal rentals as well as guests arriving by boat for dining. For those looking for a more private and intimate waterfront dining experience, Cove Castle offers their Chef Table. This is a private cabana that can host a sit-down dinner for up to 16 guests. It includes private docking for up to three boats and customized Chef tasting menus and wine pairing. On-site lodging for private event guests will be available in the spring of 2017. Located at 13 Castle Court, this venue has everything you need to make your event exceptional! For information on holding an event at Cove Hall or one of our other NYC event venues, please call 212-505-7400. How many guests will Cove Hall accommodate? Where in New York is Cove Hall? Cove Hall is located in the heart of Greenwood Lake, NY just an hour from New York City. 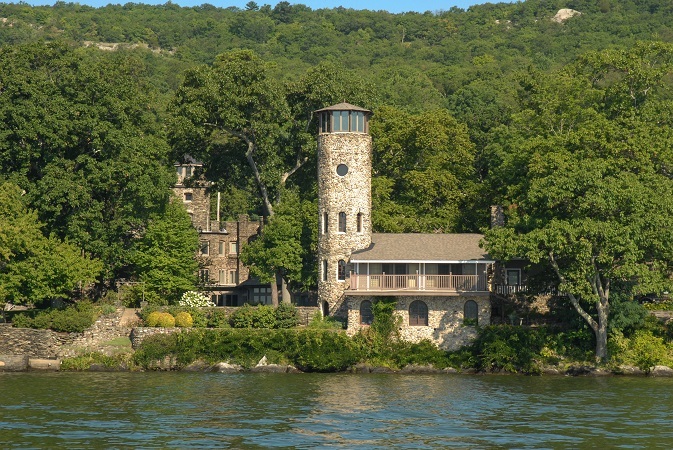 Located directly across from the lake is a Castle referenced as “The Teediermen Castle”, home to Derek Jeter and his siblings since they purchased and renovated it in 2010. Do you have floorplans, logos and info I can download? Right-click on the links below to save files to your computer. How can I check Cove Hall’s pricing and availability? Contact us to discuss Cove Hall’s unique features, availability, pricing and more. Cove Hall is located at 13 Castle Court in Greenwood Lake, New York. Let’s talk about how we can make your event remarkable. We have multiple other Manhattan event space rentals which you can research on our venues page. Contact us to learn more.